Send a mail becomes so easy with Phoneposte: from 7 to 99 years old, whatever your mother tongue is, send a letter or a parcel to your correspondent! No need to know his/her name precisely, nor his/her postal address! You only write his/her phone number on the envelope! Then insert the envelope in the letterbox – Thanks to the patented process, the operator will manage, and send it to your correspondent! 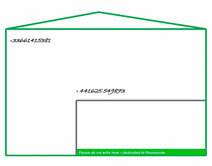 The Phoneposte postal operator uses the patented process: read the phone number of the correspondent, look for the name and address in databases, write them on the envelope. The correspondent receives your envelope where his name and address are perfectly written, according to the postal operator standards. Phoneposte also advises you to write your own phone number at the upper left of the envelope: then you will be quickly noticed by SMS or email that your letter has arrived, or that your correspondent has not been found! For companies which send major quantities of postal mail, Phoneposte allows cost savings, and avoids double or triple mails. Phoneposte optimizes the mail sent inside companies, especially if they operate in many locations: large groups such as banks and insurances for instance, exchange many documents inside; Phoneposte is a efficient solution for them, and they can also use it for the mail from inside to outside the company, as well as for value-added services. 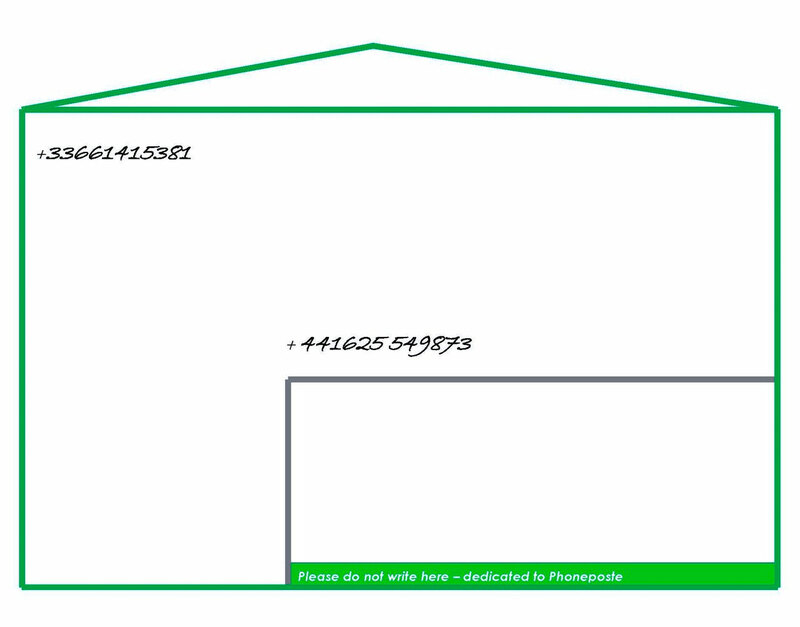 Phoneposte will become the new standard of the postal mail of the 21st century in the world!